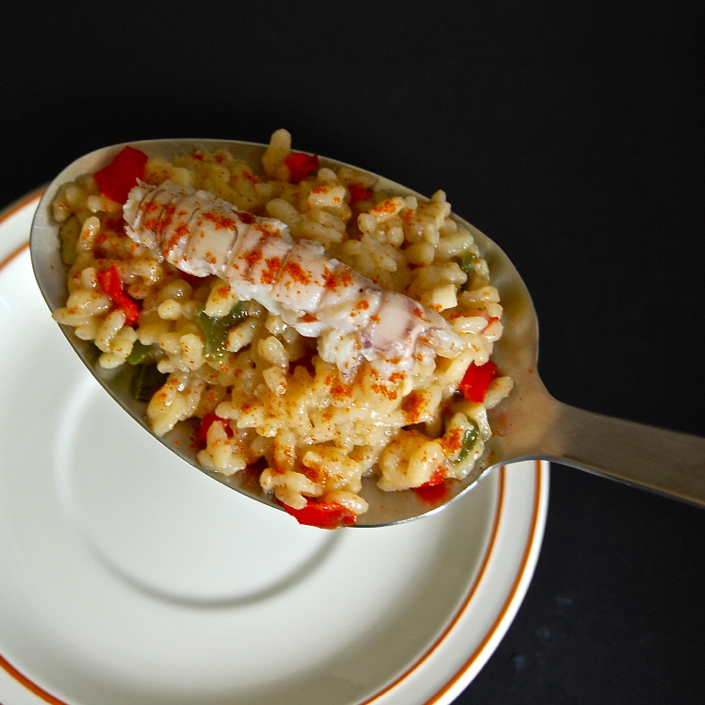 Squilla Mantis and Rice… a flavourful combo! Eventhough it’s still February and this Winter has been loooooong, weeeeeet and cooooooooold, I just saw the first bloomed almond trees and swallows. What can this mean? Yes, Spring is so near now! Oh, sun, dear sun… I missed you soooooo! February is the month for Squilla Mantis, a delicious Mediterranean crustacean that has been rarely used as the star of the dish… but, things change, and this is for good because its meat, texture and flavour is outstanding and highly appreciated for those who know its secret! If you can find it fresh in your Market, buy some and try this rice or simply grill them and pour some extra virgin olive oil and salt on top. I found the recipe at Descubrir cuina, a Catalan gastronomic magazine which I always buy at the begining of each month. Also, during the weekend I was travelling to a village near Sant Carles de la Ràpita where I bought the best fresh Squilla Mantis one could dream of. This village is running a Fair about this crustacean and the curled oyster on February 20th. I couldn’t attend to the fair because I was busy cooking the rice ;D, maybe next year!. I rarely follow a recipe step by step; most of the times, I add or change things and ingredients, but this time, I wanted to be as faithful as possible and I must admitt that the result was absolutely delicious… I only changed two things: The recipe asked for peeled squilla mantis and that is such a hard job! Not that I complain for free… I gave up after peeling the sixth. Their meat and shell seem to be sticked with glue! Eventhough, the recipe gives some tips to make the job easier… I tell you, I couldn’t make it with the 32! So, I changed that. Also, I noticed I missunderstood some of the measures with the peppers and the garlic… but, oh boy… the result was super! There you are! 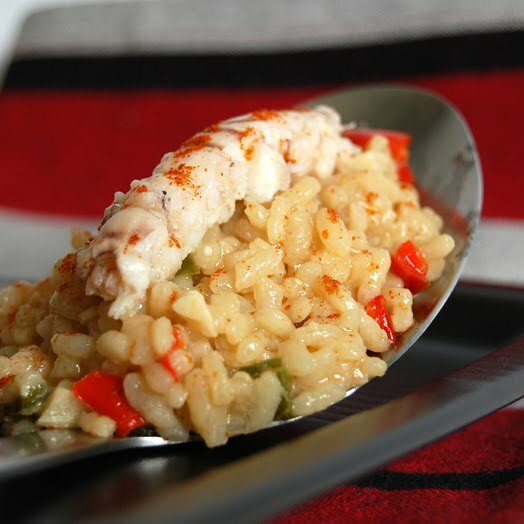 Simple and flavourful :D.
Ingredients for 4 servings: 32 fresh Squilla Mantis, 200 grs of onion, 50 ml of dry Jerez, 400 grs of Bayo Bomba rice, one small green pepper, half red pepper, 20 garlic cloves, half coffee spoon of red sweet ground paprika, some ground black pepper, some salt and extra virgin olive oil. Take a pot where you can pour 3 liters of water and pour some olive oil in it. Add the onion finely chopped and with low heat cook until it gets confited. 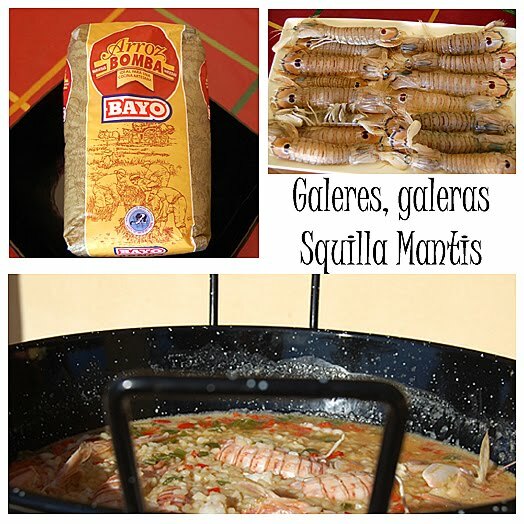 Add half the squilla mantis (16) cut into small pieces to the pot and stir for 2 minutes (keep the rest in the fridge). Pour 2 liters of water in another pot and bring to boil. Add to the first pot with the S.mantis the paprika,, some salt, black ground pepper and the Jerez and let cook for 2 minutes while stirring. Add the 2 liters of boiling water and let simmer for 20 minutes. Strain while squeezing the s.mantis so that it lets all their juices into the broth. Reserve the broth in a new pot and keep hot. Take a big sauce pan or a deep one, or a paella and pour some olive oil. Add the red and green peppers cut into small dices. Stir and cook for only 2 minutes. Add the garlic, also cut in small dices and when fragant add 1.400 ml of the hot broth. When it boils again, throw the rice in and let it cook for 10 minutes. If it gets too dry add more broth. Take the rest of S.Mantis and add them to the paella. Cook for another 3 minutes. Take away from the heat, cover with a lid and wait for 5 minutes. Nena, quines fotos més més i més xules! Ets una campiona, de tot cor felicitats! This crustacean is very interesting Nuria..it’s wonderful learning about the different shellfish you use. 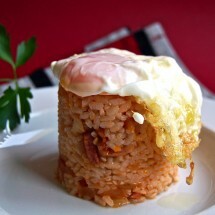 I love the simple presentation with the arroz. Yay to all odes to Spring. I even saw my first Robin just the other day. I have learned something new today about squilla mantis. Maybe I will be in Spain one day to enjoy them myself. I have not heard of this crustacean before either, but like most Mediterranean foods, it must be delicious. Your pics are certainly making me hungry for some. Wow, this looks so good! 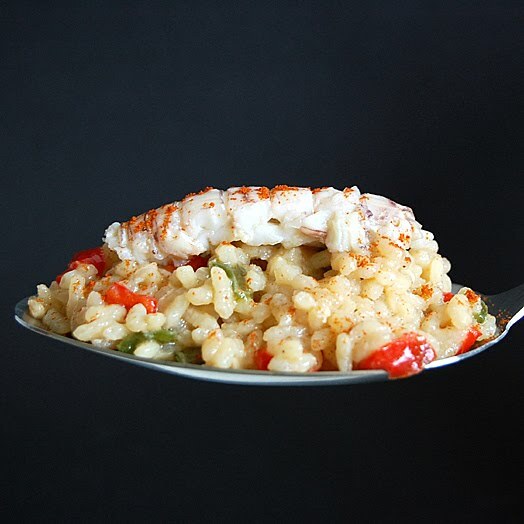 Like the others, I have not heard of this crustacean before, but it looks so good, the way you have prepared it! 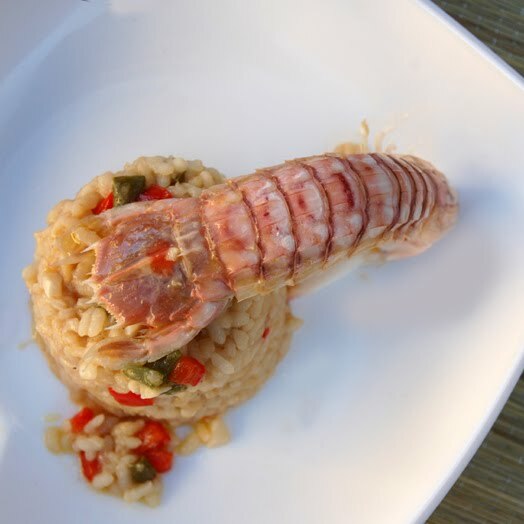 We only saw these types of “shrimp” (as we referred to it, hehe) when we were in Italy several years ago! Nuria, are these not crayfish – found in rivers/streams? My father recalls eating these when he was young and some nearby villages still have them. As always, mucho delicioso! 02/25/2010 · 16:53 h by tobias cooks! I love seafood. I also do lots of it lately. I am having a meat free period. I miss this! I’ve only had it back in my home country. I’ve seen those little critters when we lived in Andorra. Never knew what to do with them. Great Photos! What a gorgeous recipe Nuria. You know, I LOVE galeras!! However, I used to eat them in the summer’s in Chipiona. They are so good, as usual, beautiful recipe! !